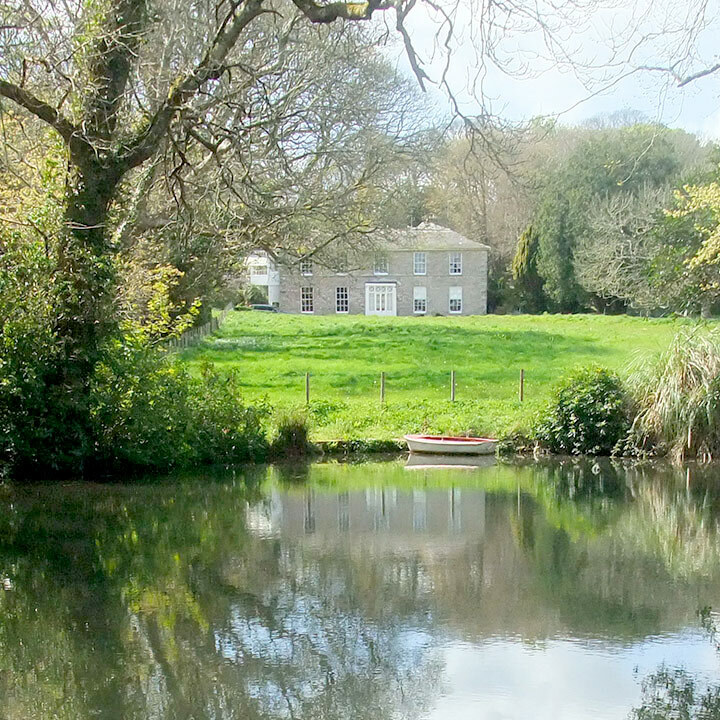 A beautifully-maintained Georgian Manor house in the far west of Cornwall, Nancealverne House provides comfortable self-catering accommodation for up to eight people. The gravel drive sweeps around the large circular front lawn to arrive at the impressive front of the house. The elegant interior breathes history, built with prize money from Nelson’s Battle of the Nile. 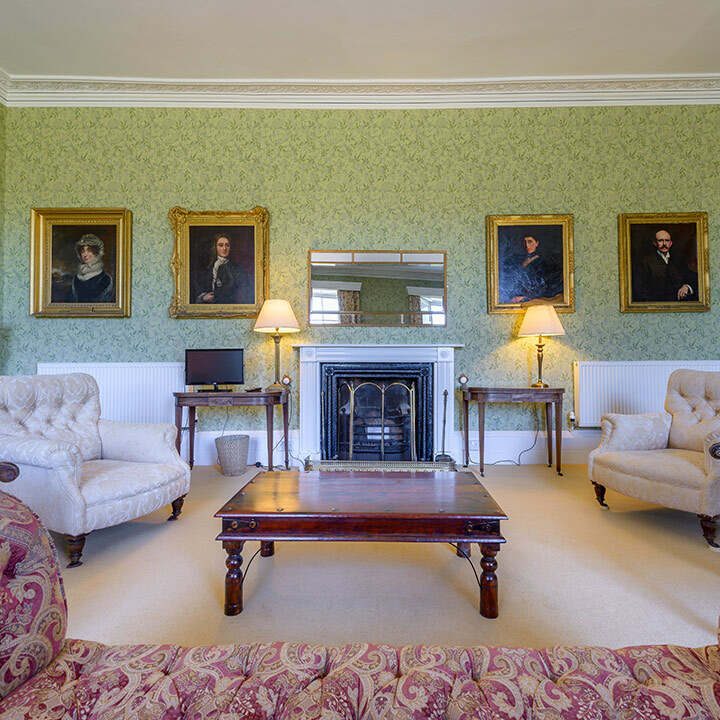 The cosily refurbished rooms, wood fire and Victorian rocking horse will delight both children and adults. 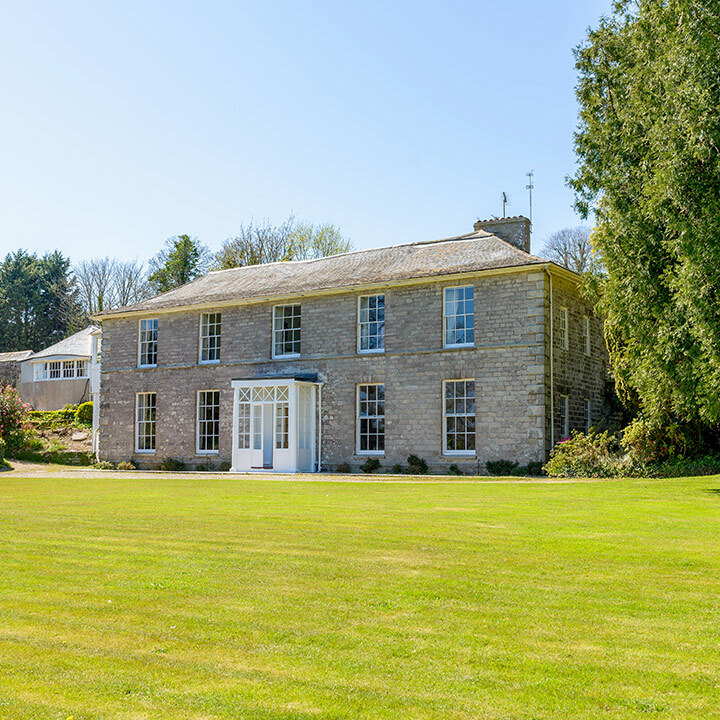 Nancealverne House is magnificently situated within 14 acres of luxuriant gardens, perfectly located wthin easy walking distance of Penzance and only seven miles from St Ives. Sublime sandy beaches and coves, glorious coastal footpaths, vibrant art galleries and gourmet restaurants are close by. This unique country house with its fabulous secluded gardens and lake will guarantee a holiday to remember. If you have a larger party, Apple Loft Cottage, located behind the secret garden wall of Nancealverne House, can be booked in conjunction with the house. Apple Loft Cottage sleeps up to 5 people in two bedrooms and is newly converted for 2016.